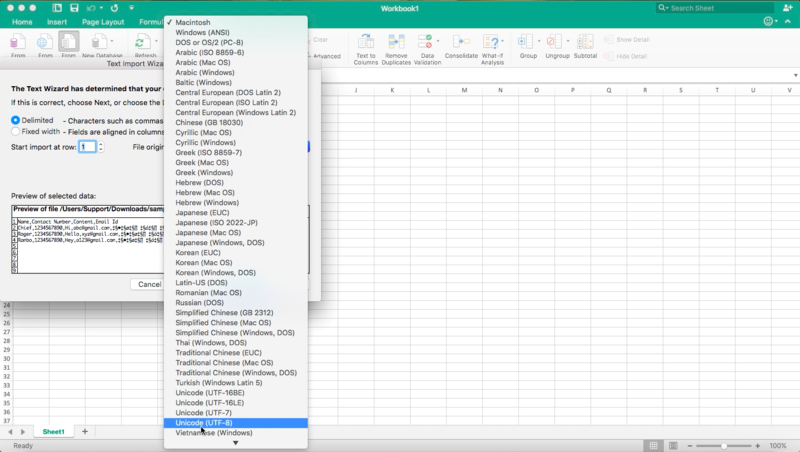 How to check the Unicode message in the excel file exported? 1. 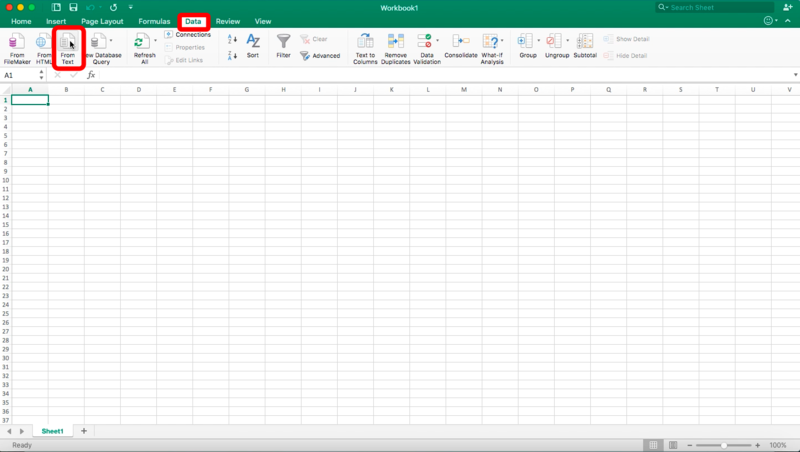 Open a new blank workbook in Microsoft excel. 2. 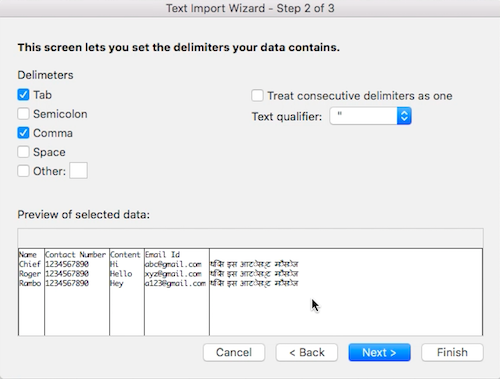 Now go through the option "Data" and choose "From text"
3. Select the file for which you want to check the data and click on "Get data". 4. 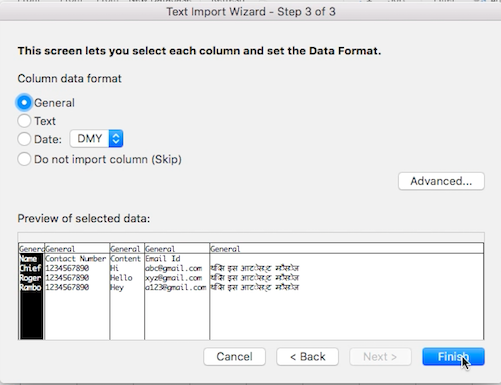 Now on the "Text import wizard" set the file origin to "Unicode (UTF-8)", press next. 5. In the list of delimiters, check mark "Tab" and "Comma" then press next. 6. Set General in the column data format and press finish. 7 Now choose where you want to put the data and click okay. And now you can check the data here.